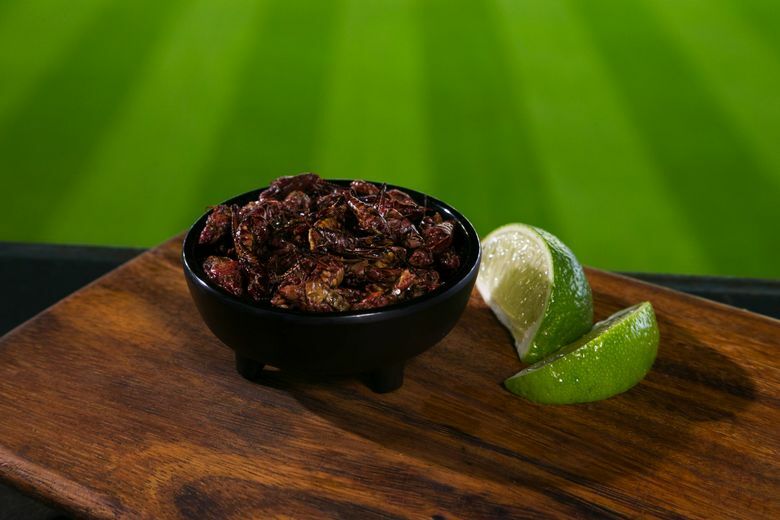 About 18,000 grasshoppers have been sold at the first three Mariners home games. Here's some tips on how to get them, without the long lines. Big-name chefs Ethan Stowell and Josh Henderson rolled out new food at their Safeco Field concession stands for Mariners home games. But you know what? They’re getting upstaged by a bunch of grasshoppers. Food and Wine magazine and a bunch of other food publications are blogging about the fried critters instead. ESPN and Sports Illustrated seem to have devoted more coverage to the grasshoppers than the actual team. Sold for $4 for a 4-ounce cup, the Oaxacan chapulines, dusted with chile-lime salt seasoning, have become such a big seller — 18,000 grasshoppers sold in the first three games — that the kitchen had to do an “emergency run” to get more bugs to get through Wednesday’s game. You have to get to the ballpark early to avoid the long lines at Edgar’s Cantina and at Edgar’s Tacos, where the grasshoppers are sold. And you have to get them by the fourth inning or they might be sold out. But really, you don’t even need to go to the ballpark. Poquitos, which is making the grasshoppers at Safeco, sells them at its Capitol Hill restaurant. Poquitos has had them on the bar menu for a while, and they haven’t created much buzz (chirping?) The restaurant sold 934 orders of grasshoppers all of last year. By comparison, the Mariners concession stands sold 901 orders in the first three games.